Hello. Welcome to my website. Here you can read all manner of strange stories that I have covered as a non-fiction writer. They include reports of dark acts involving murder and fraud, as well as unsolved mysteries, miscarriages of justice and other corruption. Many of these tales feature bizarre characters and unlikely environments including medicine, showbusiness and the international art market. What most of the stories have in common is that they remain unresolved - my prime reason for republishing them here. My other intention is to demonstrate that truth is not only stranger than fiction: dark, perhaps horrific acts, whether involving murder, fraud or brainwashing, in real life have a uniquely disconcerting power to settle inside one’s head, to haunt and grip the imagination. The fascination of all true mysteries, scandals or crimes lies in the question: what happened next? I therefore include news of any developments which occurred since the stories were originally published, mainly in the magazine sections of the national press. I often have to remind myself that however inconceivable the events and sinister the people I have met or written about, all are real, not make believe. Truth is messy. There are no neat explanations or convincing endings. Many of these stories are not only unsettling to write, they also make uncomfortable reading because of the questions and tangle of loose ends that remain. Emilie Flöge was a feminist, a fashion designer and, in 19th-century Vienna, a woman ahead of her time. She was also the lover and muse of the artist Gustav Klimt. But could a scruffy picture picked up online for €150 really be a long-lost portrait of her? In Spring 1804, four Spanish frigates set sail for home from Montevideo to Cádiz. In October a British squadron sank the Mercedes off Portugal's shores. A new era of deep-sea exploration is uncovering some historic shipwrecks. But who gets the spoils? Mystery of the Black Swan. One of the world’s most eminent violin dealers, accused of defrauding and embezzling clients and businesses to the tune of millions, is finally facing the music in court … The Great Stradivarius Swindle, at The Telegraph. The sale for up to $30 million of the rights to Marilyn Monroe's image has put the spotlight on who makes money from stars whose names are worth more dead than alive – Selling the Dead, at The Telegraph. Mind how you move your arms - your career prospects, or even your relationship, may rest on a new way of reading your personality … The Body’s Secret Signature. Our memories make us who we are. But what if it turned out that even our most vivid remembrances can't be trusted? Read more about the The Memory Game. My blog and twitter feed can be found at alixkirsta.com/words. 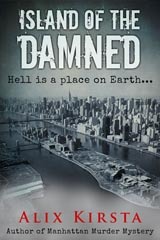 My new book Island of the Damned is now available for Kindle … from amazon.co.uk and from from amazon.com. These days, Welfare Island is a verdant, residential retreat which was renamed Roosevelt Island in 1973. But in the earlier 20th century it was notorious as the “worst and most unmanageable prison in the world”. The grotesquely misnamed Welfare Island was known to most New Yorkers as the city’s most wretched hell hole, the setting for some of the darkest episodes in the city’s history since the mid nineteenth century. When the City officials MacCormick and Marcus organised a raid on the prison in 1934 they had no idea what they were about to stumble upon. Emaciated and scarred inmates, rife with self-mutilation, drug withdrawal and addiction, were crammed into stinking cells kept in appalling conditions. While shipping them off to hospitals and alternative prisons, the officers discovered a large-scale drugs trafficking operation run by notorious mobster inmates and facilitated by prison staff. As they delved deeper into the workings of the prison it soon became apparent that the scale of the corruption was larger than they ever could have anticipated. The whole of New York was contaminated. But who was controlling this widespread ring of crime and corruption? And what dirty secrets were being hidden on the Island of the Damned…? ‘Island of the Damned’ is the compelling true story of New York’s most brutal prison. It is a compelling mix of social, political, and criminal history - essential reading for anyone who wants to understand New York’s past. “A brilliantly told story.” - Robert Foster, best-selling author of The Lunar Code. 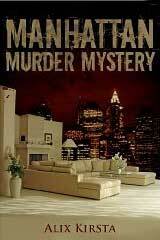 My new book is now available for Kindle … Manhattan Murder Mystery, from Amazon. When New York heiress Irene Silverman vanishes from her Upper East Side mansion, the case sparks a major criminal investigation. A fifty-strong team of FBI and NYPD officers scours the city’s streets in vain for evidence or sign of a body, becoming caught up in one of the most perplexing mysteries in New York’s criminal history. Detectives soon hit a dead end. Is she dead, or alive? When an elderly woman, Sante Kimes, and her son Kenny, are arrested in another part of town on minor fraud charges, the Silverman case takes a chilling twist. Are the couple connected to her? An eagle-eyed NYPD officer thinks so. As police teams around the USA probe the background of Sante and Kenny Kimes, reports of a horrifying crime spree materialise, linking the couple to property theft, fraud, kidnapping and multiple murders throughout the country, for which they have so far escaped arrest. Eventually, the couple’s deadliest and most audacious plot is exposed. 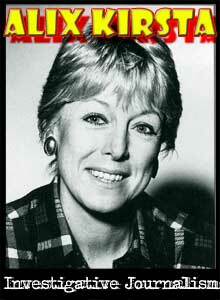 The Kimeses have come to New York for one reason only, and soon they are charged with the murder of Irene Silverman. It is Manhattan’s “trial of the century”. But the mystery remains. Irene Silverman’s body has never been found, and her last moments and cause of death are still unknown. Web site content © Alix Kirsta, or as specified on individual pages. Web site designed by alano design.